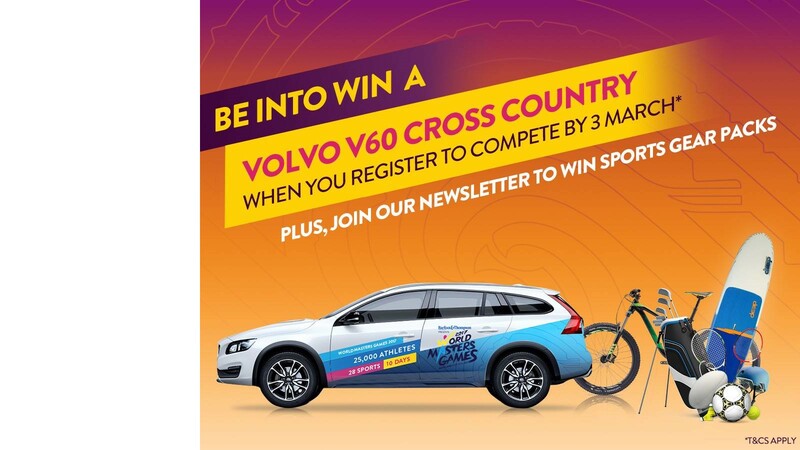 Volvo Car New Zealand, Official Vehicle Partner of WMG2017, is giving one lucky WMG2017 athlete a V60 Cross Country for keeps. If you’re a resident of New Zealand, and are registered to compete in the Games before 3 March 2017, you’re in the draw to win this incredible car. Plus there are sporty prizes like a Giant Bicycles New Zealand mountain bike up for grabs too, when you sign up to receive our newsletter.